A couple of years ago, the famous jewelry setter from Geneva, Alvaro Moya decided to create his own elaborated collection of watches. His first creation was known under the name “Gold Cuntur” and displayed 572 diamonds as well as a pearly dial color. The design of the “Gold Cuntur” attracts customers due to its exclusive characteristics. Alvaro Moya called this collection Cuntur intentionally as he has south American roots. Cuntur come from Quechua, which was the language of the Incas, and this word means condor. This bird is majestically considered and remains the symbol of liberty. Alavaro Moya highly respects this term and got the inspiration through its powerful effects. 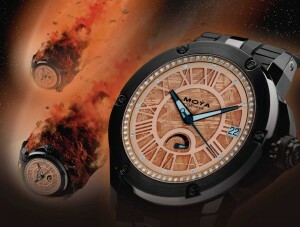 Nowadays, Moya Geneva aims to catch his customers’ attention with a contemporary version of the “Gold Cuntur”, called the “Steel Gold Cuntur”. The classis Cuntur seduced admirers, who look for exclusive items through its virility, strength and stylish features. As it is a unique and valuable watch, customers who are passionate about the world of Horlogery would choose “The Cuntur”. 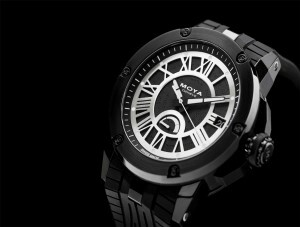 As a result, Alvaro Maya exclusively provides his customers with series of limited edition watches.